Girl meets former boy. Rider Strong, who co-starred in the 1990s Boy Meets World TV show, will appear in the third season of the sequel series, Girl Meets World on Disney Channel. The episode will reunite Strong’s Shawn Hunter with Cory (Ben Savage), Topanga (Danielle Fishel), and Katy (Cheryl Texiera). According to The Wrap, Strong will appear in episode 3.06 “Girl Meets Upstate,” slated for July 8, 2016. 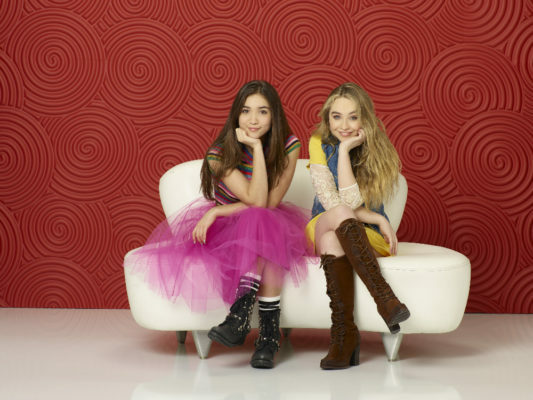 The report says the episode, “…will see Maya (Sabrina Carpenter) and Riley (Rowan Blanchard) head to upstate New York to help Maya find her true artistic voice but neglect to tell Cory and Topanga where they’ve gone.” We hear Strong is slated for another season three episode, as well. What do you think? Did you watch the Boy Meets World TV show in the 1990s? Will you tune in to Girl Meets World, to see Rider Strong? More about: Boy Meets World, Girl Meets World, Girl Meets World: canceled or renewed? ts such good show original was well-done but think good see them grown up show the girls rope life make show very interesting watch it since kid still love spin off of the series please renewed fourth season.